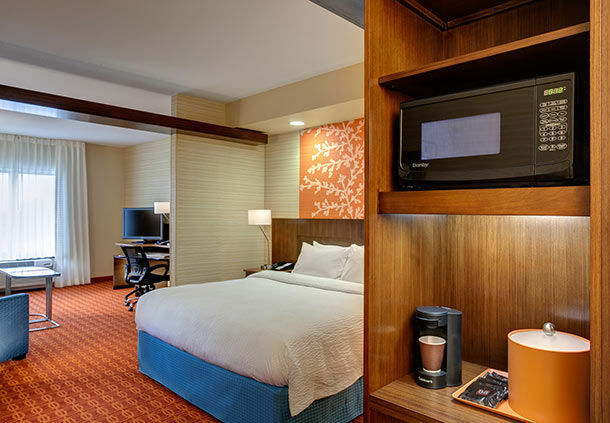 STAY AMAZING at the brand new Fairfield Inn & Suites Chicago Schaumburg by Marriott a hotel with outstanding service for an easy and comfortable stay at an exceptional value. 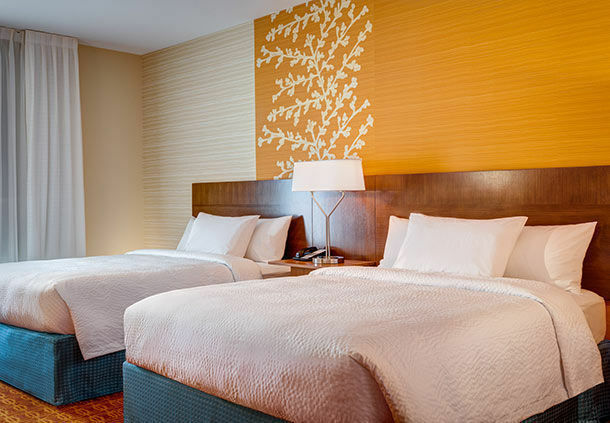 We are always ready to welcome you to our thoughtfully designed guest rooms and suites with plenty of room to work and relax. 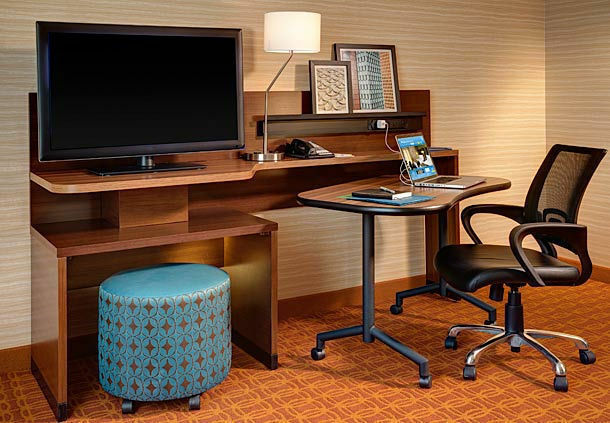 Free fiber-optic Wi-Fi throughout the hotel, meeting space, and 24 hour business center will keep you connected, and our pool and fitness center will help you stay on track with your exercise routine. 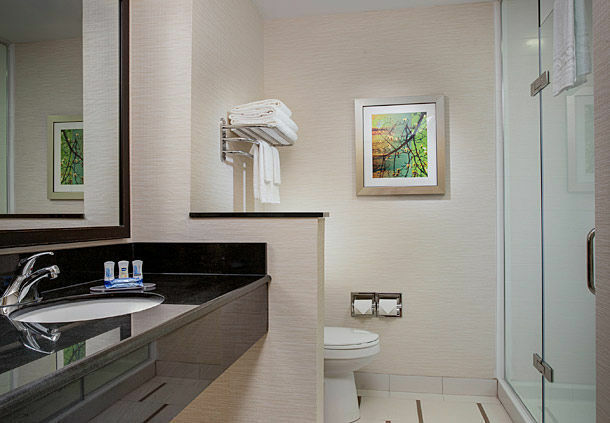 Our courtesy shuttle will take you to companies such as Verizon, Nielsen, and PepsiCo, as well as Woodfield Mall and Legoland or the Schaumburg Convention Center. 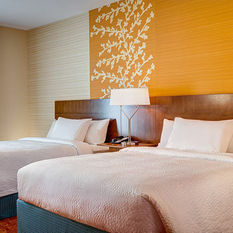 Book your next meeting or event in our over 6000 square feet of meeting space! 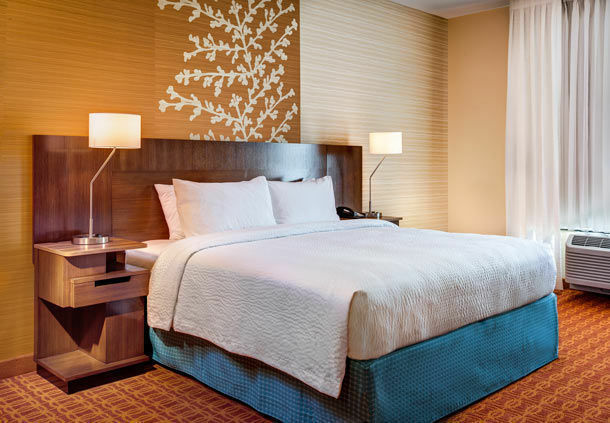 Gather in our vibrant lobby, or relax outside on our patio by the fire pit. 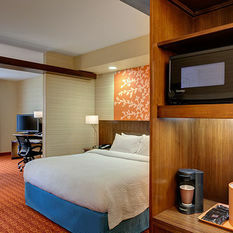 Start each day with our expansive free hot breakfast featuring plenty of healthy options. 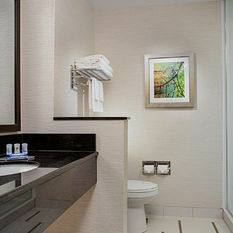 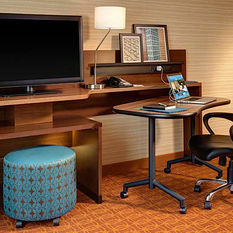 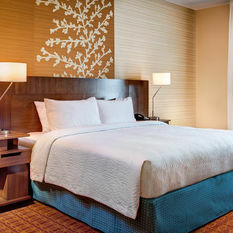 Come stay at the Fairfield Inn & Suites Chicago Schaumburg—the newest Marriott property in the area!